Follow us on this one Porsche fanatics. On Tuesday, Porsche announced the 2018 Porsche 718 Boxster GTS and 2018 Porsche 718 Cayman GTS models complete with a handful of upgrades, including a slightly more powerful 2.5-liter turbocharged flat-4 that makes 365 horsepower. The Boxster GTS starts at $80,850, including destination, or $82,950 for the Cayman GTS. For that kind of money, the GTS comes equipped with a 6-speed manual, 20-inch wheels, sport seats, and Porsche’s Sport Chrono package, which is a gateway for more smile-inducing performance options such as torque vectoring and a mechanical rear differential. If, over the past few years, you’ve found yourself spending hours on Porsche’s online configurator like we have, you’ll agree: Porsche is faster at emptying wallets than they are on the streets sometimes. Perhaps we’ve hit “peak Porsche,” or perhaps Porsche has found some common sense because in the case of the 2018 Porsche 718 Boxster GTS, the starting price seems somewhat reasonable. Starting with a 2018 Porsche 718 Boxster S at $69,800, the GTS adds sport seats plus ($810), Sport Chrono ($2,090), 20-inch wheels ($2,680), torque vectoring ($1,320), sport exhaust ($2,540), steering wheel rim ($890), sport design package ($3,050), model design on the doors ($310), and a sport suspension option ($1,790). Add it all up and you can save more than $3,000 by just asking Porsche to “make mine a GTS.” That even skips the added horsepower (15 hp) over the base model—call that value added. 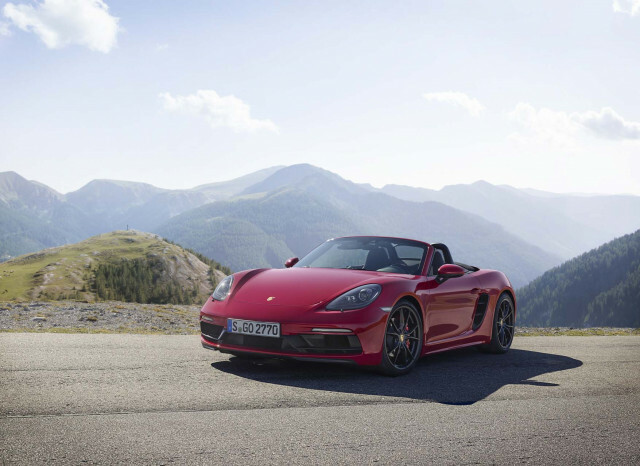 That makes the GTS a relative deal among 718 Cayman and 718 Boxster models. To be clear, if your idea of a Boxster or Cayman involves trips back and forth between the Porsche dealer to pick up a $40 keychain: save money by sticking with the base model. If your idea of a Boxster or Cayman involves a canyon corner or 318—perhaps you live next to the Tail of the Dragon?—a GTS is a fine pick.